One of the best views of Riga, Latvia from my trip this summer vacation. It felt as if I could never spend enough time there. 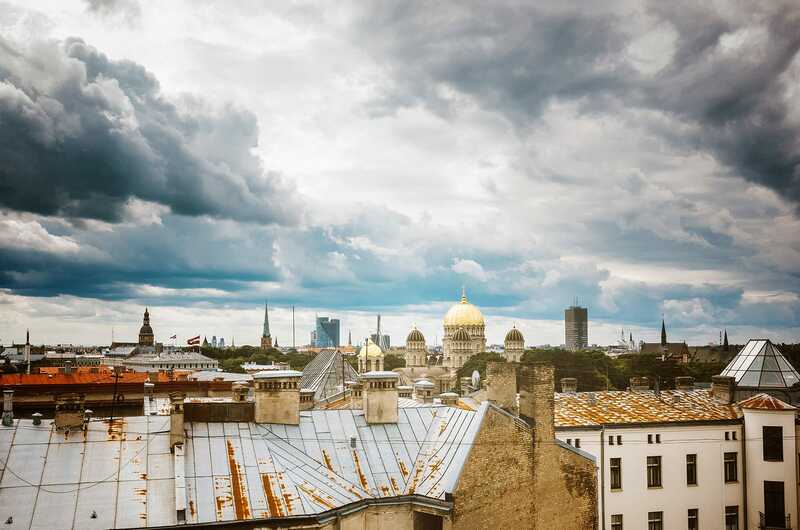 Having been lucky to get a great Airbnb apartment with a rooftop patio and an amazing view of Riga! Took so many photos of the kids on this patio and really enjoyed the look of the old town. I have no idea what it would be like during winter and how cold it would be. I do know that in the summer the sun sets very late and most bars and restaurants are open until 6 AM.